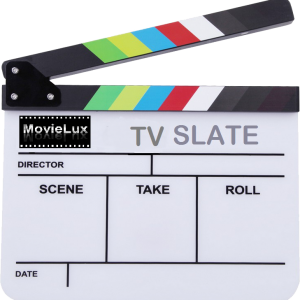 MovieLux is an independent Broadcast Television & Film Production House. Our business objectives are to create, develop and produce our own feature films and television productions. Our in-house creative team are all highly experienced scriptwriters. MovieLux work alongside contracted independent film and television consultants on an ongoing basis, who provide current and future market analytical reports on the creative and commercial integrities of our projects based on market trends. This unbiased independent perspective helps us to hone our projects to achieve commercial viability in the market. As MovieLux is an independent production house with access to a dedicated, highly experienced and talented executive team of professional producers and crew, who have all worked on feature films and broadcast television programmes for over a decade, we also provide Co-Production and Production servicing, supporting other independent film production companies with their projects. Visit “Co-Productions” for more info on our Co-Production services. MovieLux has now established routes to market with worldwide distribution of both Film and Television content for more information on our distribution please visit our distribution page. Our teams combined bring over 100 years of experience in development, production, distribution, finance and marketing of feature films and television programming. Our group has filmed in various locations worldwide including the United Kingdom, the United States, Canada, India, Central and South America and Europe.